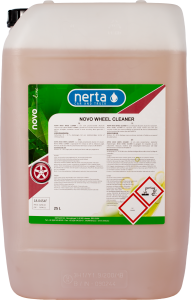 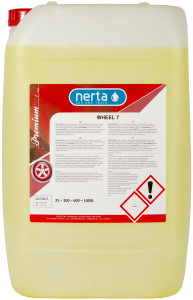 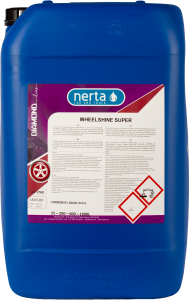 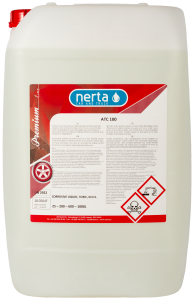 NERTA NOX is an acid wheel cleaner that removes brake dust and other dirt in a fast and effective way. 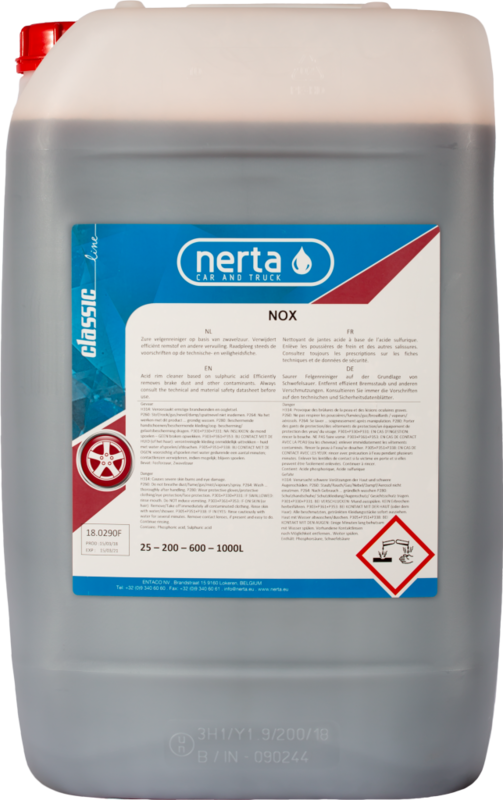 NOX is a basic acid wheel cleaner that removes brake dust and other dirt in a fast and effective way. 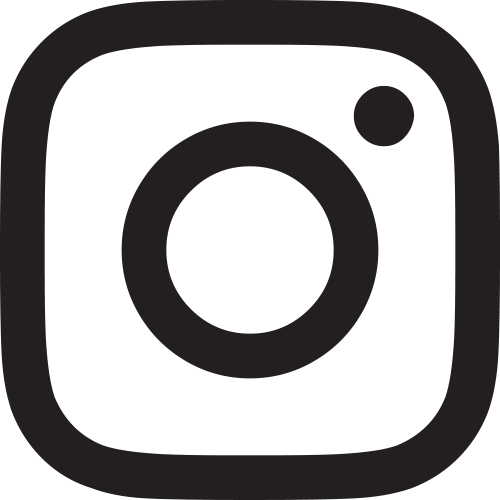 It can be used manually or in automatic systems.  Economical in use.